7 World’s Continents Photo Challenge – Australian Monday week #45 – winner announcement! It is my great pleasure to announce the winner of 7 World’s Continents Photo Challenge - Australian Monday. I would like to say huge thank you to all the participants for their great entries. The number of entries yesterday was very good with many high-quality images so it was extremely hard to decide on the winning one. I encourage you to check the entries as they really were all stunning. You can see all entries and participants in this post: 7 World’s Continents Photo Challenge - Australian Monday week #45 - the absolute winner takes 200 SBD! It would be great if you can visit their blogs and appreciate their awesome photography skills with some upvotes. Last time i was in Queenstown, i went to visit my friends in their house. During sunset time, i saw this amazing sunset from their balcony. It's impossible to not taking pictures of this beauty. You can see the scenic lake Wakatipu with the snow capped mountains on the backgrounds. 7 World’s Continents Photo Challenge - Asian Sunday week #45 - winner announcement! 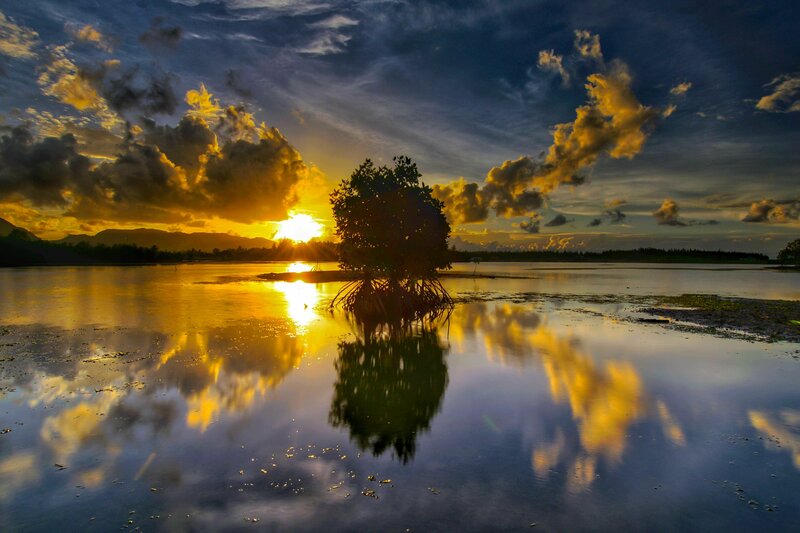 This is a panoramic sunset in the city of Banda Aceh, Aceh, Indonesia. I took this picture in a reservoir in Ulee lheue. This reservoir is also a variety of alternative ways. This photo me kok between the sunset and reflection to make it look more beautiful. The winner of the weekly challenge will be selected by you based on the dollar value of this post and then entered to a monthly and possibly yearly challenge on the way to win the price of 200 SBD in total. You can give @rinawonderlands your support by upvoting this winner announcement post. Price of 20 SBD/30 USD: 7 World's Continents photo challenge WEEKLY WINNER announcement #43! 10 Steem Monsters Booster Packs giveaway: winner announcement! ColorChallenge - Red Monday - @lichtgreif in 7 World's Continents Photo Challenge! What a pleasure, such an amazing image! I am always happy seeing you to enter my contests. Thanks for the post, czechglobalhosts. 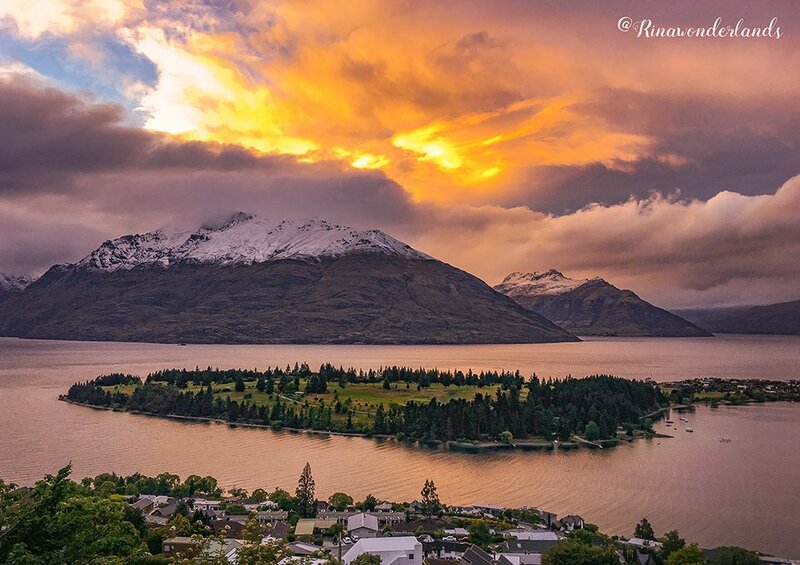 That's an awesome shot and I absolutely love Queenstown even though it feels overcrowded at times! It's the NZ version of Banff back in Canada it feels like! Thanks @kryptocek. I never been to Canada yet, but i bet it's beautiful like NZ, it's on my bucket list already! @rinawonderlands Congratulations! Amazing shot! Well deserved! @czechglobalhosts I just found out about your competitions. Great job! I'll start participating and sharing my best shots from now on. awesome winner shot. thanks for mention me! Friend @czechglobalhosts what good to see your photos again. Congratulations for your beautiful photography a beautiful painting of warm colors.